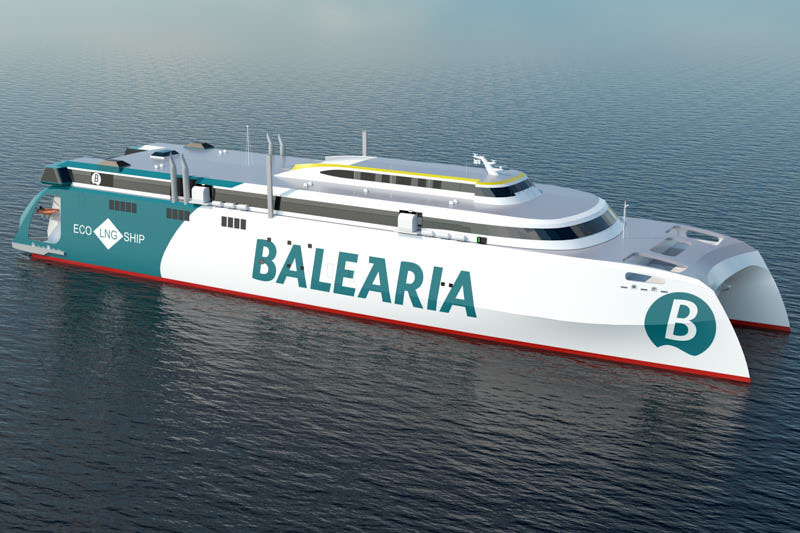 Baleària has ordered the world’s first LNG powered ro-pax high-speed ferry. The fast ferry is being built at the Armon shipyard in Gijón after an Incat Crowther design. With a length of 125m and a beam of 28m, the new catamaran will have capacity for 1,200 passengers and 500 cars (or otherwise 500 lane meters freight and 250 cars). The vessel will be propelled by four Wärtsilä dual-fuel LNG engines delivering 8,800 kW each, allowing it to attain a service speed of 35 knots, and a top speed of over 40 knots. Range will be 400 nautical miles. Investment is 90 million euros. Entry into service summer 2020. Sembcorp Marine has won its first design-and-construction ro-pax project comprising three identical plug-in ferries. These vessels will be built to a proprietary design from Sembcorp Marine subsidiary LMG Marin for delivery to Norled AS in the fourth quarter of 2020. 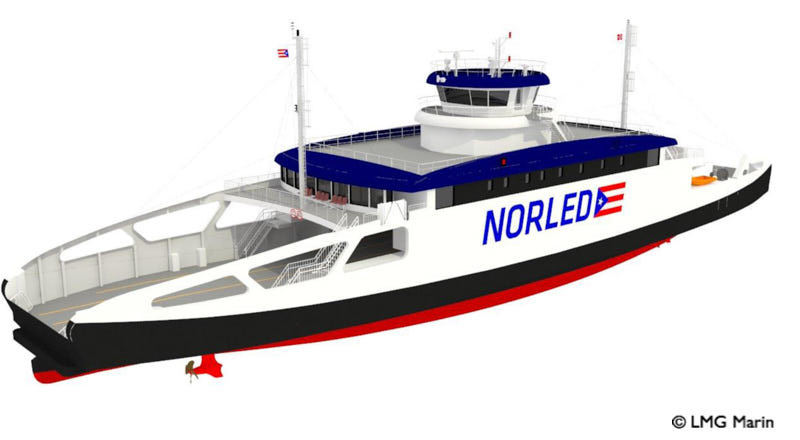 Specially tailored to Norled’s shortsea Hella-Vangsnes-Dragsvik connections in Norway, the 84.2m double-ended ferries can each carry up to 300 passengers and crew, as well as 80 cars or a combination of 10 cars and 10 trailer trucks. The highly energy-efficient vessels will operate normally on battery power at a service speed of 10 knots. When required, they can run on combined battery-diesel hybrid backup modes. 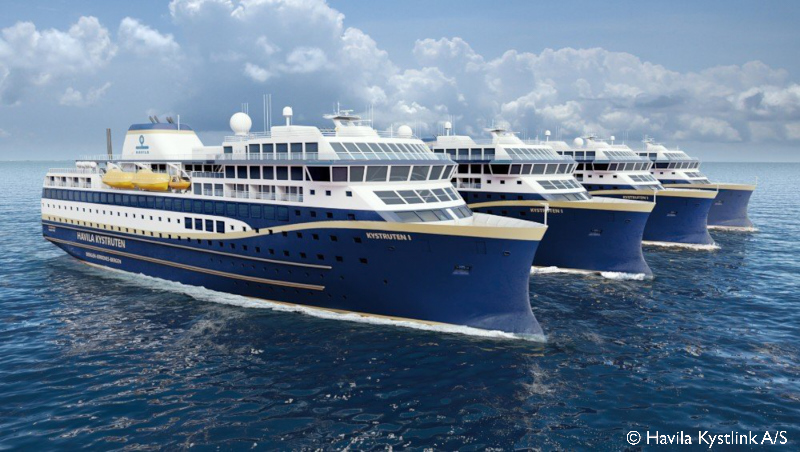 Genoa-based Grandi Navi Veloci chartered out for some months the ferry RHAPSODY which will pass all the winter season in the Bahamas as a floating hotel. Italian news site www.Ship2Shore.it reports that the MSC-controlled ferry company closed a charter agreement with Norwegian Cruise Line through which the 1996-built ferry will be deployed from mid-November to February as an accommodation vessel for the personnel of the cruise company relocated there. In the next few months several ships of NCL’s fleet are expected to enter dry dock at Grand Bahama shipyard and RHAPSODY will host part of the crews and of the staff in charge for the fleet technical management. Several ship casualties took place in Italy, mainly due to the violent storms which battered the country for three consecutive days. Some passenger ships broke away from the mooring in the ports of La Spezia, Naples, Vado Ligure and Carloforte. In La Spezia the cruise ship CELEBRITY CONSTELLATION broke moorings and hit COSTA MAGICA. In Naples and in Vado Ligure the same situation happened respectively to the Tirrenia’s ferry RAFFAELE RUBATTINO and to the CORSICA EXPRESS THREE. All those vessels broke away from the mooring due to the gale-force winds. 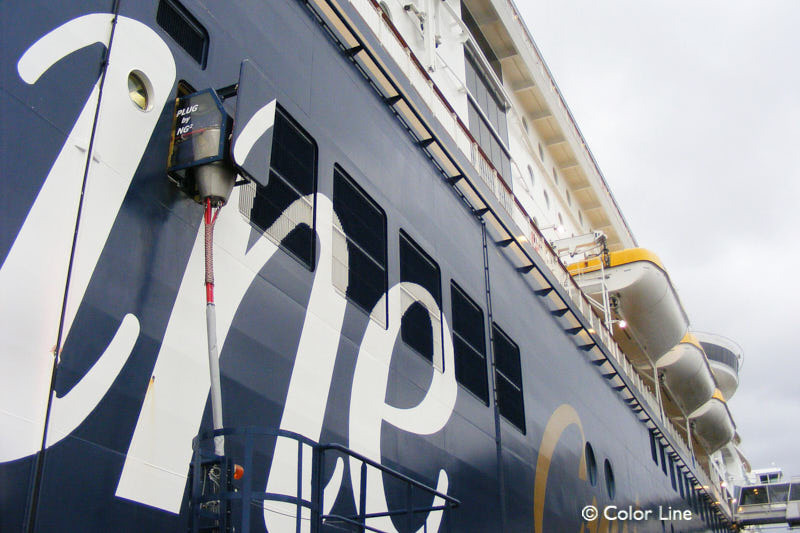 Some major damage was reported after the small passenger ship GB CONTE operated by Delcomar struck a pier while mooring in the port of Carloforte, on Sardinia. The collision left a small hole in the hull. Much more serious was the accident which occurred to the ferry EXCELLENT of Grandi Navi Veloci in the port of Barcelona. During maneuvering the vessel slammed into a gantry crane, which eventually collapsed and created a fire. Luckily nobody was injured. 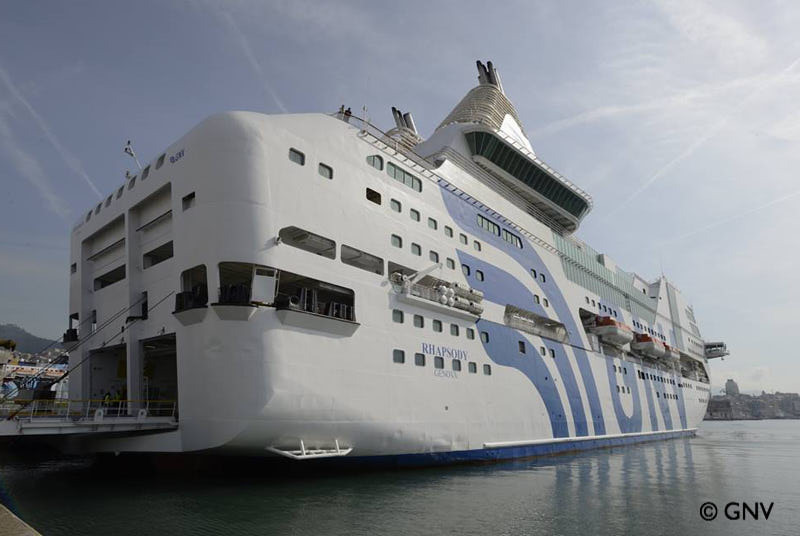 Grimaldi Group’s ro-pax CRUISE AUSONIA suffered an engine room fire, while en route from Palermo to Livorno, Italy. Fire was extinguished, and the ship was able to go back to Palermo with reduced speed using the only engine still running. Port of Zeebrugge has reported a growth of 7.7% after the first three quarters of 2018 compared to the same period last year. Zeebrugge handled a total of 2,091,374 new vehicles (+0.4%). 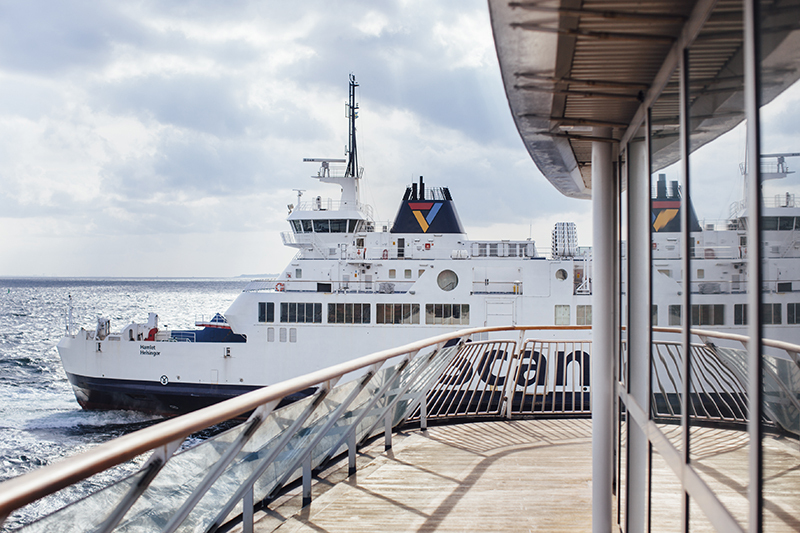 Freight traffic volumes continued to grow in Q3 on Scandlines Helsingborg-Helsingör, which accounted for the largest share of growth in freight traffic on Öresund this quarter as well. While the number of transported passengers and cars declined, due to the unusually warm summer among other things, the ferries’ precision and capacity utilisation remained high. HH Ferries Group has completed the last adjustments of the charging and battery installations, allowing AURORA and TYCHO BRAHE to be officially inaugurated as the world’s largest battery-powered passenger ferries at an event on 9 November. 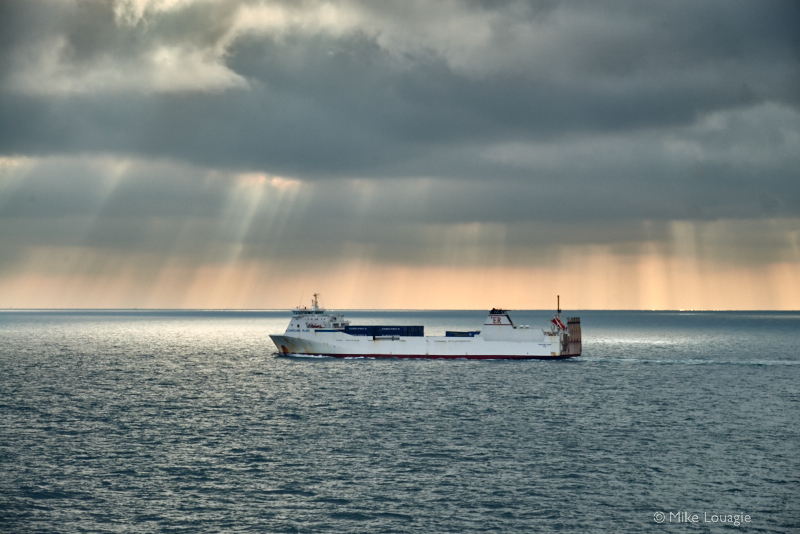 Interferry has welcomed the decision by the IMO Marine Environment Protection Committee (MEPC) to uphold previously agreed sector-specific Energy Efficiency Design Index (EEDI) targets for ro-ro passenger and ro-ro freight vessels.